Want a great lumbar support that's also easy to take with you? 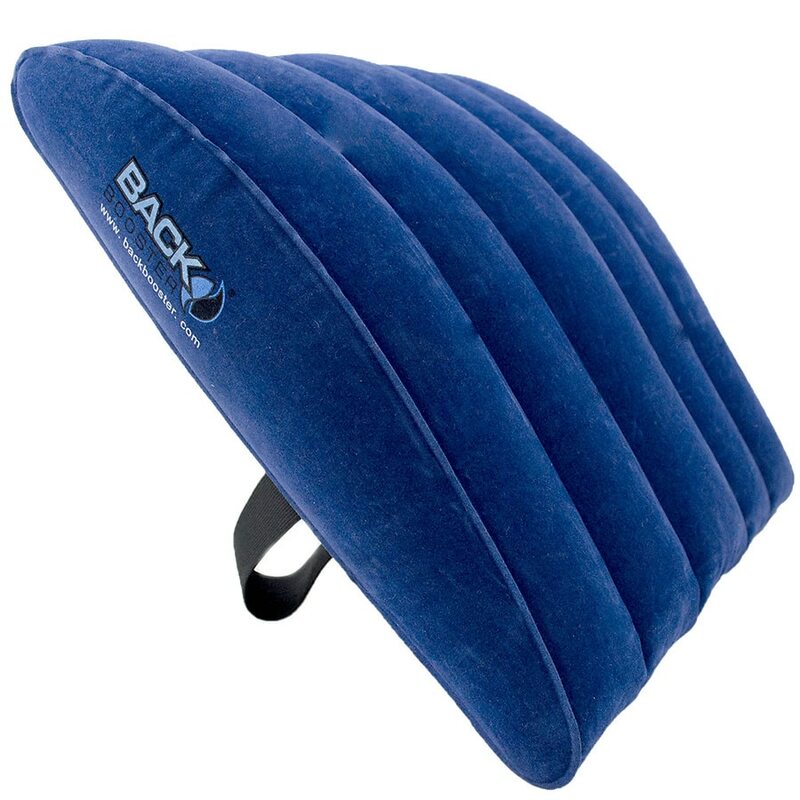 Turn to the Back Booster portable lumbar support. Unlike traditional lumbar supports, the Back Booster is inflatable, allowing for customizable levels of support. And, when not in use, the Back Booster deflates to pocket size for easy storage in a purse, pocket, or briefcase (try doing that with a traditional lumbar support!). Use anywhere effective lumbar support is needed...on the plane, train, in the car or at the office. A nylon carry bag is included for added convenience.